A U.S. Senate candidate from Missouri sought a $50,000 donation from a retired lawyer he is prosecuting as state attorney general. Josh Hawley, a Republican, is set to face incumbent Democrat Claire McCaskill in one of the most-watched Senate campaigns of 2018. For now, Hawley is Missouri AG, and he recently solicited a $50,000 donation (via email) for his Senate campaign from Paul Benton Weeks, of Springfield, Missouri. Why should this raise eyebrows? Hawley's AG office is prosecuting Weeks on a dubious charge of securities fraud -- but now Hawley wants the defendant to fork over $50,000 to a Senate campaign. We've written a series of posts titled "The Political Prosecution of Paul Benton Weeks" (see here and here) and we thought the case could not get more smelly. But the Hawley solicitation adds a whole new layer of corruption, incompetence, or both. 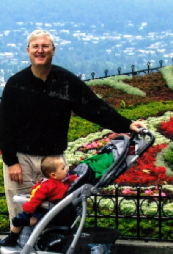 Legal Schnauzer readers probably know Paul Benton Weeks best as the Missouri lawyer who wrote a scathing affidavit about U.S. District Judge Mark Fuller, the wildly conflicted judge in the Don Siegelman case. Fuller, of course, eventually was forced from the bench in the wake of charges that he had beaten his wife in an Atlanta hotel room. That was no surprise to many because Weeks, via his affidavit, had already unmasked Fuller as a morally bankrupt fraud, who had no place on the federal bench -- much less overseeing the Siegelman case. "A security is a fungible, negotiable financial instrument that holds some type of monetary value. It represents an ownership position in a publicly-traded corporation (via stock), a creditor relationship with a governmental body or a corporation (represented by owning that entity's bond), or rights to ownership as represented by an option." Was there anything with the transaction in question that fits that description? Did it involve a stock, bond, or option? Not even close. In Missouri, the statute of limitations for alleged "securities fraud" is three years. The charge against Weeks is based on a private loan transaction that occurred in August 2009. Therefore, simple math would indicate that the statute of limitations in the Weeks case expired in August 2012, At that point, a Missouri prosecutor is required by . . . law, not to commence a prosecution barred by the statute of limitations. . . . But [Chris] Koster and the Missouri Attorney General's Office filed their untimely prosecution against Weeks anyway. These Missouri officials commenced their prosecution against Weeks on Dec. 24, 2014 -- some 30 months after the three-year statute of limitations had already run. The Missouri Attorney General is Josh Hawley, who is now running for the United States Senate. Recent news reports confirm that Hawley faces substantial pressure, from powerful people within his own political party, to raise more campaign cash. On Monday, February 26, 2018, Josh Hawley sent an email to Defendant Paul Weeks from an email address identified as “jhawley@joshhawley.com”. In that email, Hawley stated it was his “honor” to invite Weeks to attend an “evening reception with President Donald J. Trump." Hawley stated to Weeks that “I hope you can join me and Erin [Hawley’s wife] for this special event.” Hawley’s email to Weeks described the event as a “fundraising reception, benefiting our campaign.” Hawley’s email also stated that if Weeks paid $50,000 to Hawley’s fundraising group, Weeks would be an “attendee” of the “Host Committee Roundtable” — suggesting that for $50,000, a cash donor would obtain special access to Hawley and perhaps a quick photo with Hawley and/or Trump. There is absolutely no excuse for Missouri Attorney General Josh Hawley’s direct and personal solicitation seeking substantial money from a citizen that Hawley and his state office are currently prosecuting and threatening to throw into prison. No excuse whatsoever. For decades, it has been widely understood that prosecutors, running for elective office, should follow certain procedures to ensure that no solicitations are made to persons who are being investigated or prosecuted by that same prosecutor or his or her office. This elementary procedure requires that a prosecutor's office access its files or database in order to identify all persons currently being investigated or prosecuted by that prosecutor’s office. The names and contact information of all such persons must then be cross-checked with the campaign mailing lists to ensure that no person who is being investigated or prosecuted is included on any campaign list used to solicit funds for the prosecutor. In addition, campaign experts have observed that because prosecutors have the absolute discretionary power to destroy citizens’ lives, prosecutors who run for public office should not personally solicit money from anyone — out of concern that solicitations for money by prosecutors are inherently coercive and could cause people to fear the consequences if they do not make a contribution to the prosecutor. To avoid an apparent conflict of interest or appearance of impropriety, many legal ethicists and campaign experts have urged that candidates closely tied to the judicial process, including prosecutors, should not personally solicit campaign contributions. A prosecutor who solicits money from a criminal defendant invites and encourages the defendant to make a “campaign contribution” that could be perceived to be in fact a bribe or, at minimum, appear to be a bribe. Indeed, many states have enacted criminal statutes that make it a crime for a public official to solicit anyone who is subject to any current government action, regulatory matter, or prosecution. 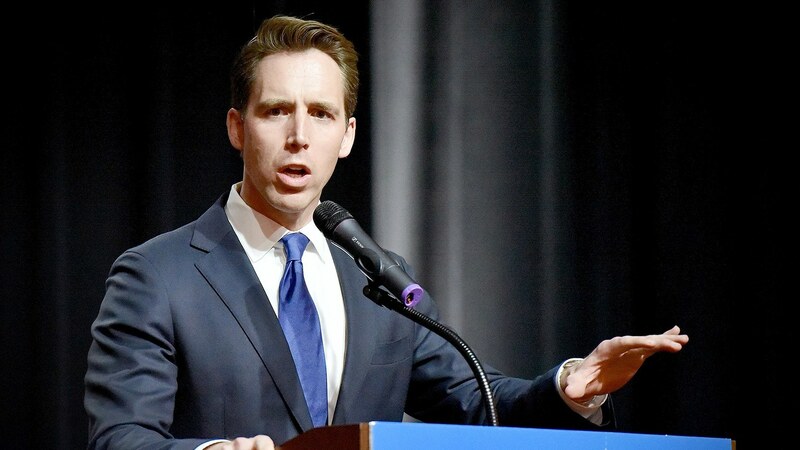 In this case, several Missouri criminal statutes were possibly implicated by Missouri Attorney General Josh Hawley’s solicitation of money from a defendant who Hawley and his office are currently prosecuting and threatening with prison. For starters, a “stealing" crime in Missouri includes an attempt to coerce property from another person. 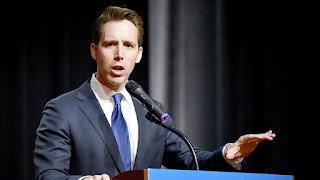 In this case, Josh Hawley’s direct and personal solicitation to Weeks could plainly be perceived as an attempt to strong-arm and coerce Defendant Weeks into paying Hawley and his group up to $50,000 which, if so, would clearly constitute attempted felony “stealing” under Missouri law. Missouri law also makes it a crime for a public servant to solicit any benefit in return for a decision or exercise of discretion favorable to the person solicited. In Missouri, the crime is known and described as “acceding to corruption” — which, in plain English, means a crime in which a public servant solicits or requests that another person pay that public servant for a favorable government decision. Several prosecutors have committed crimes by soliciting political contributions that were, in effect, bribes. In those cases, prosecutors solicited and collected political contributions in exchange for deciding cases in a manner favorable to a criminal defendant. For example, one prosecutor was convicted of accepting bribes in exchange for prosecutorial leniency, with some of those bribes being campaign contributions. Press Release, FBI, Former Cameron County District Attorney Armando Villallobos Sentenced to Federal Prison in Connection with South Texas Bribery Scheme (Feb. 11, 2014). Another prosecutor was convicted and disbarred for receiving a campaign contribution in exchange for supporting the early release of a convicted murderer. T. Evans, Document Reveals How Bribery of Former Marion County Deputy Prosecutor David Wyser Unfolded, CHILLICOTHE GAZETTE (Nov. 1, 2013). Finally, a New Jersey prosecutor was convicted and sent to prison for soliciting money from criminal defendants in exchange for a reduction or dismissal of the prosecutor’s charge. M. Conte, Former Fill-In Prosecutor In Bayonne, Secaucus Pleads Guilty To Bribery, THE JERSEY JOURNAL (Nov. 10, 2012). All officers of the court – prosecutors in particular – must adhere to the highest standards of integrity. In view of AG Hawley’s solicitation of a cash ‘contribution’ from Defendant Weeks, it would be hard to imagine a more serious and egregious violation of Rule 4-8.4 (d). Anyone who doubts that assertion should simply imagine what the public would think if it learned that a state attorney general, in Missouri, had solicited up to $50,000 from a criminal defendant who that same state prosecutor and his office were prosecuting and threatening to throw into prison. Mindful of that objective fact, it is hard to imagine conduct by a prosecuting attorney that could be more damaging to the “integrity” of Missouri’s judicial system or the public’s confidence in the administration of justice in Missouri. If the public knew what AG Hawley solicited a big cash contribution from a defendant who prosecutor Hawley was prosecuting, and threatening with prison, the public would have absolutely zero confidence in the legal or judicial system in Missouri. Zero, zilch, nada. Likewise, a prosecuting attorney has a sacred obligation to avoid any conduct that would create an appearance of impropriety. It ought to go without saying that a prosecutor who solicits a cash “contribution” from a criminal defendant who the prosecutor is prosecuting has created a shocking appearance of impropriety which, by any ethical standard, would be viewed as conduct by a prosecuting official that was “over the top” and completely improper. Hawley's a turd, just like Greitens. Sounds like Hawley has his act together. He should fit right in at US Senate. Maybe they can give Hawley Luther Strange's old office suite. I take it Weeks didn't cough up the $50,000? Yes, you are correct. He managed to restrain himself. Hawley has been angling for the Senate job from the moment he became AG. I doubt he has any clue about the laws Weeks cites or how the AG's office even operates. Golly, Weeks passed up a chance to meet "The Donald" for only $50,000? Must take some discipline to do that. This is a huge embarrassment for AG's office and whole state of Missouri. They look like clowns. All Hawley has accomplished is a sham investigation of Greitens' staff using Confide app to erase messages. It's reassuring to know Republicans in Missouri are dumbasses, just like the ones we have in Alabama. If Jeff Sessions finds out about this, he'll want to nominate Hawley for the U.S. Supreme Court. JEFFERSON CITY Gov. Eric Greitens’ use of the resources of a veteran’s charity for his 2016 gubernatorial campaign has prompted subpoenas by the Missouri attorney general, St. Louis prosecutor and a state House investigative committee, The Kansas City Star has learned. The subpoenas indicate that investigations that initially focused on allegations of blackmail by the governor have expanded to include his political campaign finances. CBS 60 Minutes Star Interviewee/Witness Jill Simpson posted today on her Facebook Page, saying: "As many of you know I think of Paul Weeks as a hero in the Siegelman case."